Let me begin by saying that I fully support the couponing community, and I am in no way saying that couponing doesn’t work. Because it does. Trust me! I’m a numbers and organization kind of person, and the idea that I could strategically collect specific coupons, match with a store sale, and get FREE stuff really clicked with me. In fact, not only did we reduce our food budget, but I was able build a stock pile of enough diapers and wipes to last us a full year, all before my daughter was even born. It was awesome. I assumed I would continue couponing forever. And why wouldn’t I? But then the baby came along, and another one two years later, and I got burned out. All of the planning, organization, and prep work that goes along with couponing was taking up my (very limited) free time. I found it impossible to get through the check out line with two small kids, a cart full of groceries and a handful of coupons, that needed to be sorted and scanned. And then I hit another roadblock. Becoming parents caused a big shift in our eating and shopping habits. Before the kids came along, we often resorted to eating more processed food than we should. But with two growing kids to feed, I became more focused on providing healthy, whole food, home cooked meals. And that didn’t work very well with couponing. There are some great coupons out there for whole foods like fruit, milk and yogurt, but to be blunt, that vast majority are for super processed junk. 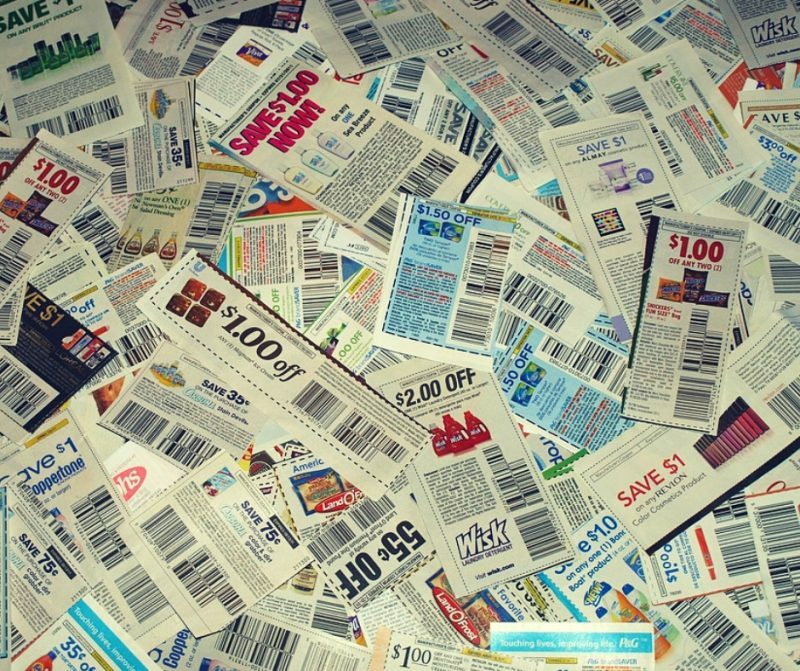 It became a struggle for me to find coupons for food we actually wanted to buy, and tracking them down wasn’t always worth the few dollars we’d save. This might seem obvious, but if you stick to a plan, the savings can really add up. Focus on buying in-season whole foods, and when you can, purchase in bulk. Our Costco membership pays for itself with the monthly savings. Also, check out the local farmers markets and compare prices to your usual grocery store. It’s not always cheaper, but you can often get great deals if they’re overstocked. Ordering groceries online is a big time saver, and can really help you cut down on spending. By focusing on what you actually need, and not what’s on the grocery store shelves, you can make healthier choices and stick to your meal plan. Plus, I like to start on the Sales page, so I can stock up on our favorites and get the best price possible. To find out more about a system that works well for us, check out How to Do More, Shop Less, and Still Cook Dinner. Instead of using coupons to buy overpriced products, see what you can make at home instead. I’ve made my own household cleaners, dishwasher detergent, laundry detergent, shampoo, leave-in conditioner, deodorant, lip balms, face oils, lotion bars, bath bombs and much more. It usually costs just a fraction of what you’d pay in the store, especially if you buy supplies in bulk. If you’re looking for inspiration, check out my Pinterest Board Frugal DIY Life Hacks for ideas. If you have a skill or hobby that could make you some extra cash, try using your time to pursue it. You never know where that might lead! Yes, it is still possible to groceries at zero cost, without using coupons. And I’d like to let you in on it! However….I’ve written way to much about this method for just one blog post, so I’ve included it all in an easy-to-follow guide that I’ll send to you for FREE! 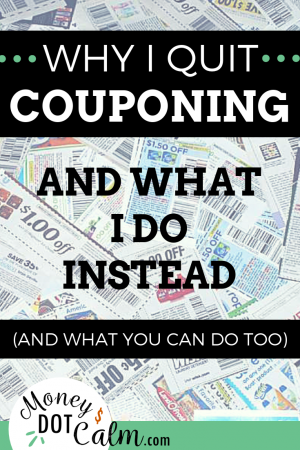 Have you tried couponing? Do you like it? Leave your comment below! Next Post Are Meal Kits Worth It? It’s SO frustrating how almost all the coupons are for processed junk. Our local store does occasionally mail us coupons specifically for our shopping habits, and those include things like meat and vegetables, which is totally awesome, but more the exception to the rule unfortunately. Yes! That’s a good point about getting coupons directly from the local grocery store. We can often collect “points” for some produce and meat with our store cards as well. That’s exactly how I felt when I got pregnant too. Sometimes one income isnt enough so we have to cut some things out. We’re planning on having another baby soon so this will help out a lot. Thank you for sharing what your tips. You are so right – Coupons are for processed food most of the times. Now the struggle has been divided into feeding organic and non-organic food to our families. It’s certainly a good idea to cook at home for both lunch and dinner when families are expanding. Your post is a reminder for me as my kids are growing and their food needs are growing too. I struggle with the organic/non-organic options too! For now, I’m happy with buying organic when I can, and not stressing about non-organic when it’s the most practical, affordable option. I’ve been saving a lot of money hitting farmers markets and local produce stands. Groceries can be sooo expensive. Getting them online is good for some things.. especially amazon. So helpful! You’re sure right about couponning. I quitted because, well too much time using it, and not suited to what i want, making you spend uselessly sometimes.